Good lord! When is the world really going to be the global village we like to call it? If it were, those of us in the new world would be able to enjoy the best of British telly at the same time as our friends across the pond. Instead, we watch from a distance, our faces pressed against the glass, waiting for our turn. 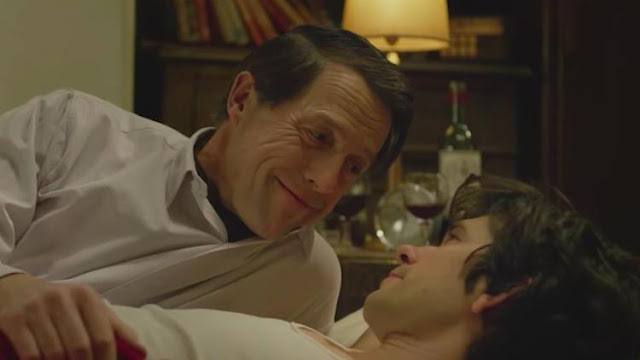 Having just seen a tweet from my British librarian friend Irene saying “Hugh Grant is smashing in A Very English Scandal” I immediately watched the trailer for the BBC mini-series. The program looks fantastic. Irene went on to say she thought it was Grant’s best work yet! Including Love Actually, Notting Hill, Four Weddings and A Funeral, and About A Boy!? Although, A Very English Scandal featuring what used to be called a homosexual love affair, is also about a boy. Irene also went on to say she hoped I’d have a chance to see it. Me too, Irene. Me too. But of course, not only is the movie based on historical fact, there’s a book. 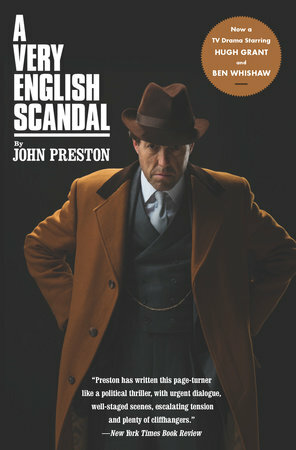 Soon to be a TV drama series starring Hugh Grant and Ben Wishaw, a behind-the-scenes look at the desperate, scandalous private life of a British MP and champion manipulator, and the history-making trial that exposed his dirty secrets While Jeremy Thorpe served as a Member of Parliament and Leader of the Liberal Party in the 1960s and 70s, his bad behavior went under the radar for years. Police and politicians alike colluded to protect one of their own. In 1970, Thorpe was the most popular and charismatic politician in the country, poised to hold the balance of power in a coalition government. But Jeremy Thorpe was a man with a secret. His homosexual affairs and harassment of past partners, along with his propensity for lying and embezzlement, only escalated as he evaded punishment. Until a dark night on the moor with an ex-lover, a dog and a hired gun led to consequences that even his charm and power couldn’t help him escape. Dubbed the “Trial of the Century,” Thorpe’s climactic case at the Old Bailey in London was the first time that a leading British politician had stood trial on a murder charge, the first time that a murder plot had been hatched in the House of Commons. And it was the first time that a prominent public figure had been exposed as a philandering gay man, in an era when homosexuality had only just become legal. 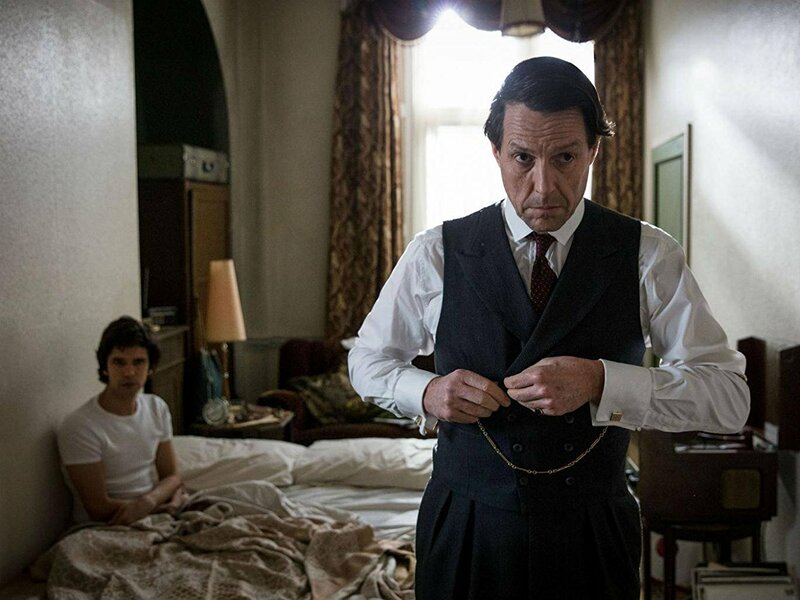 With the pace and drama of a thriller, A Very English Scandal is an extraordinary story of hypocrisy, deceit and betrayal at the heart of the British Establishment. I’ve done some digging and discovered that Amazon has picked up the rights to the three-episode BBC mini-series. 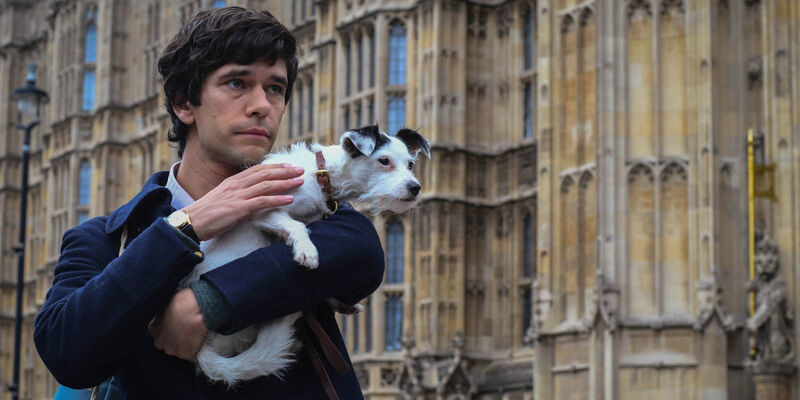 A Very English Scandal also stars Ben Whishaw as one of Thorpe’s young lovers with Patricia Hodge as his wife. Check out the trailer below. Are you watching in Britain? Can my fellow Americans wait?